It’s been a busy few weeks. The journey began with a cross-Atlantic eight hour flight from Newark, New Jersey to Zurich, Switzerland, followed by a 90-minute bus ride to the small, but very popular lake town of Lucerne (Luzern), Switzerland. The flight was bearable and rather easy; in my best attempt to adjust to the time difference, I passed out about an hour and half into the flight, logging close to four and half, five hours of sleep before I started playing around with the on-demand video selections available. Guilty pleasure: I actually like watching Covert Affairs. I also wanted to be sure to be awake for our descent into Zurich. Seeing the Alps pop out as we cleared the clouds was pretty spectacular. I have traveled through parts of Europe in the past, but had yet to visit Switzerland. I knew sight-seeing wouldn’t be on the agenda this time, but there is still something exotic and thrilling about flying to a foreign country halfway across the world, even if it is to row a little boat down a body of water very similar to the one we spend hours upon hours on every day in New Jersey. To be fair, I would actually swim in the Rotsee; whereas I despise getting even splashed by the waters of Lake Carnegie. And instead of lining up side by side with familiar faces from the Training Center, I would be looking across at Olympic and World Champions from Belarus, New Zealand, Great Britain, Canada, Germany, and Lithuania. And this time, unlike those early morning practice pieces back in Princeton, not only was our pride on the line, but that of our team and our country, the United States of America. The entire trip was a valuable learning experience and for lack of a better word, just plain awesome. For my first real international regatta (no, the Royal Canadian Henley does not count), I actually wasn’t all that nervous. I was confident in the work my double partner (Ellen Tomek) and I had put up over the past several weeks. I knew we were fit, fast, mentally tough and that we were both stubborn and determined to make some noise in our first racing as a boat together. And that we did. We won our heat and posted the fastest overall time, beating some strong boats including a stacked Belarus and feisty New Zealand crew. 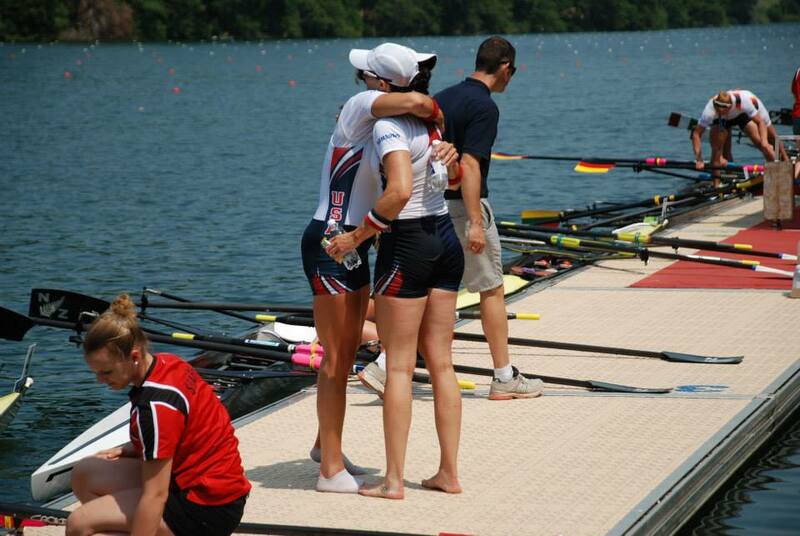 While we were excited to see that we could make the boat move, we knew the Finals would be tough. The Final was a tight race all the way until the end, with the gold going to Lithuania and the silver going to New Zealand, a crew we had beat in the heats, with us taking home the bronze medal. We learned a lot from the racing, improving with each stroke. We were pleased with the bronze and the top four finish earned us our spots on the 2013 United States National Team and a trip to the World Championships in South Korea. The goal was to race well, learn, and qualify for South Korea. Mission accomplished. The entire United States Men’s and Women’s Rowing Team had an incredible World Cup III showing. 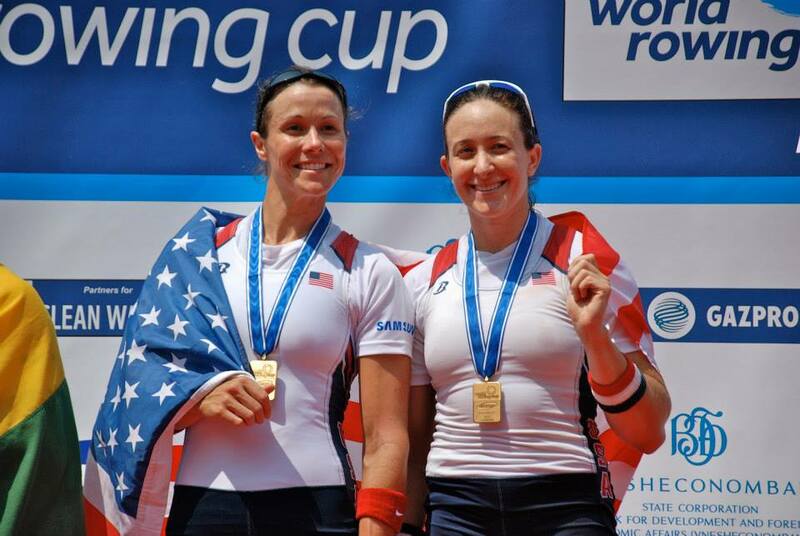 For the first time in history the U.S. won the Lucerne World Cup points total (translation: we won the regatta). 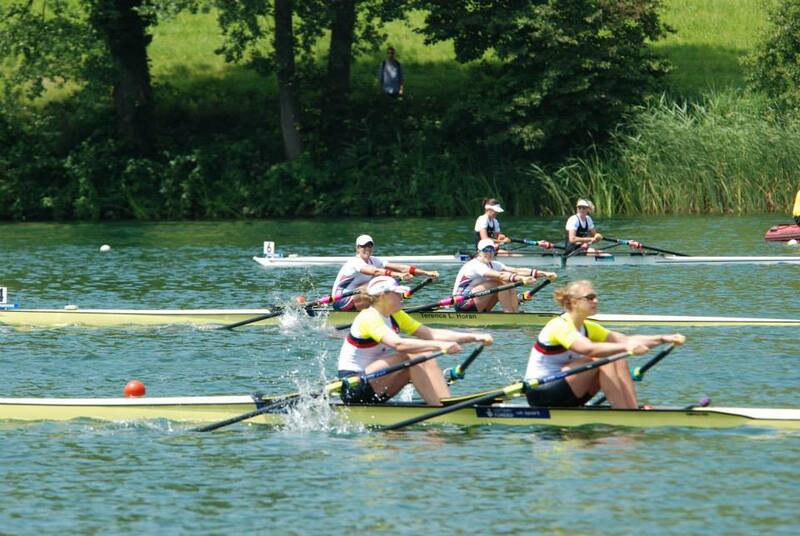 The women medaled in five of the six events entered, setting a new world record and taking home gold in the women’s eight; silver in the women’s single and lightweight women’s double, and bronze in the women’s pair and women’s double. The men took home gold in the men’s eight and four, silver in the lightweight men’s pair and had the best finish in the lightweight men’s four they’ve had in several years (seventh overall, winning the B Final). Another bus ride and cross-Atlantic flight back to New Jersey…plus a seven hour delay at the Zurich airport…and we were finally home. But it was a tease. The next day was spent groggily unpacking, doing laundry, repacking, de-rigging boats and loading the trailer for a mini training trip to the Lake Placid Olympic Training Center. The week at the LPOTC was an adventure. 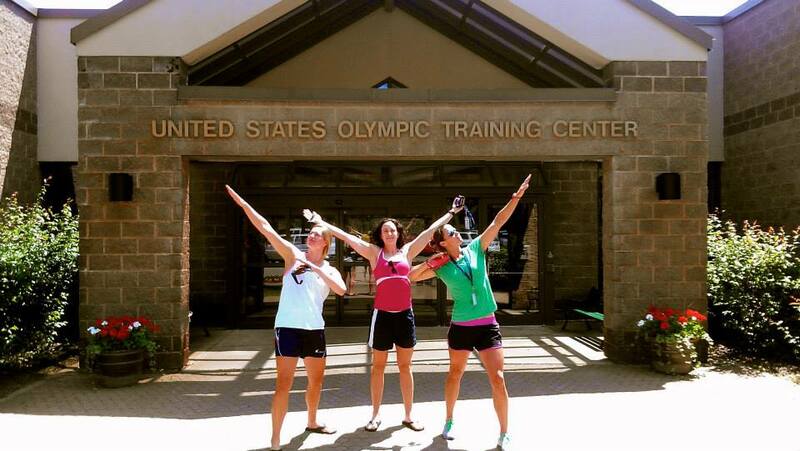 It was a “get reacquainted with training” training trip as well as an escape from the New Jersey humidity and heat wave that was blasting the Eastern Seaboard that week. Once we got used to waking up at 4am (the jet lag actually helped with this), watching the sun come up as we wet launched from a resort beach on Lake Placid every morning was pretty amazing. We spent the afternoons cross-training with swims and hikes, exploring the surrounding Adirondack Mountains. We watched an aerial ski-jumping show, learned about John Brown, and I managed to talk my way out of a speeding ticket on the drive home (yup, still got it). An adventure indeed. From the Alps to the Adirondacks and finally back home to New Jersey, the past few weeks have been full of emotion, never void of excitement, humility, joy, pain, frustration, tears and laughter, breakthroughs and setbacks, beauty, inspiration, and passion. There are moments when I look around and feel as though I will wake up from this dream, only to realize I’m living it. And so we’ve returned to reality and to the grind at the Training Center in Princeton. The official naming date for the 2013 United States National Team was on Sunday. Selection is over and the success of the World Cup is just a new dust collector hanging on the wall and a long overdue blog post. We’ve spent the past year working our asses off to make the Team. Now it’s time to work together to win a World Championship. Mego = boss. Proud of you Meg!